Seventh Street Books, 9781633880009, 313pp. Shortlisted for the Anthony, Ned Kelly, and Edgar® Awards! Belfast, 1985, amidst the “Troubles”: Detective Sean Duffy, a Catholic cop in the Protestant RUC (Royal Ulster Constabulary), struggles with burn-out as he investigates a brutal double murder and suicide. Did Michael Kelly really shoot his parents at point blank and then jump off a nearby cliff? A suicide note points to this conclusion, but Duffy suspects even more sinister circumstances. He soon discovers that Kelly was present at a decadent Oxford party where a cabinet minister’s daughter died of a heroin overdose. This may or may not have something to do with Kelly’s subsequent death. New evidence leads elsewhere: gun runners, arms dealers, the British government, and a rogue American agent with a fake identity. Duffy thinks he’s getting somewhere when agents from MI5 show up at his doorstep and try to recruit him, thus taking him off the investigation. Duffy is in it up to his neck, doggedly pursuing a case that may finally prove his undoing. Named one of the Best Books of 2015 by the Boston Globe! A 2016 Audie Award finalist for Best Mystery! 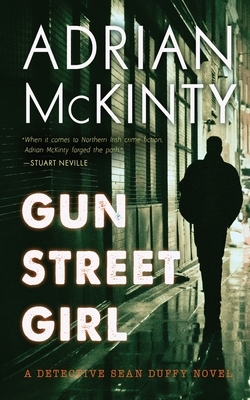 "McKinty's novels are...shot through with a smart, crackling humor that manages to be both dark and witty.... Each book is a solid standalone, but it's even better to ride the entire trilogy roller coaster." "Exceptionally smart police procedurals. . . with [a] gritty, violent Belfast backdrop." "I Hear the Sirens in the Street blew my bloody doors off!" "Sean Duffy is a compelling detective, the evocation of the period is breathtaking and the atmosphere authentically menacing."